Learn how to permanently remove a project. 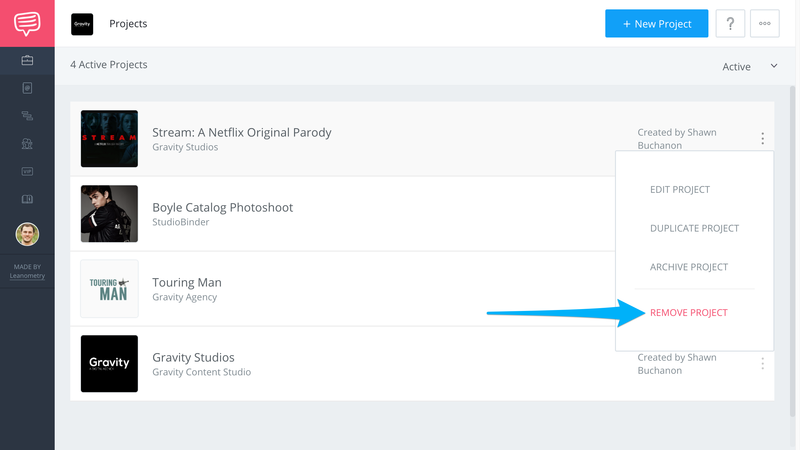 StudioBinder allows you to keep track of your Active and Inactive projects, but if you want to permanently remove one, follow this guide. On your Projects page, click the more icon, and click Remove Project in the dropdown. 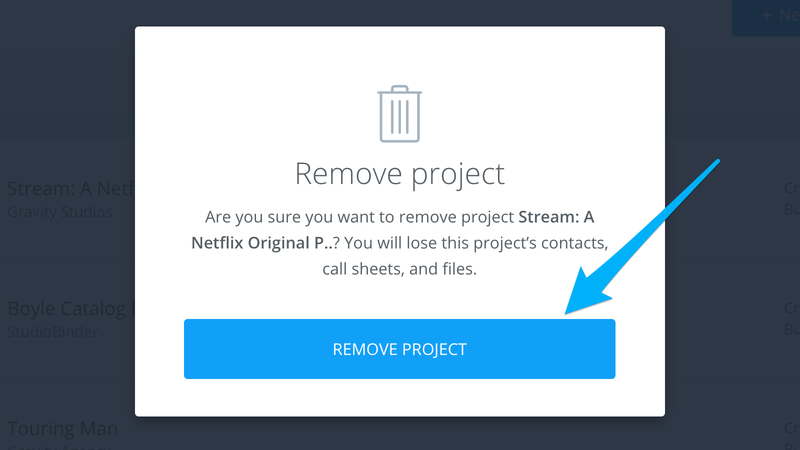 In the pop-up, click the Remove Project button to permanently delete this Project from your account. Go to your Projects page, click Active and from the drop-down, click Archived. You will now see a list of your Archived Projects, in which you can delete. Click on the more icon, then click Remove Project. Note: Currently, there is no way to recover a Project that has been deleted. However, archived Projects can be re-activated.